Woodhead is my top PPR waiver wire pickup for week 2 at the running back position. The Waiver Wire is the key to winning your fantasy football league, period. If you're not active every single week your team will fall behind. In this piece we will look at the running backs you need to pick up off waivers in week 2. There's some hot names on this list as well as some what if's and streamers. I rank them below in the order of highest priority. Yes, Denver beat the Ravens but it was ugly, Anderson managed 29 yards on 12 rushing attempts and was targeted eight times in the passing game, catching four for 19 yards. Ronnie Hillman rushed 12 times for 41 yards or 3.4 yards per carry, a full 1.0 YPC better than C.J. Anderson managed on his 12 carries. There was chatter about Hillman being Anderson's 1b back, and if this continues the script could change sooner than later. It was no surprise to me that Woodhead got so much work, including a goal line touchdown. Melvin Gordon is a rookie and they're usually brought a long slowly their first season. Woodhead scored two rushing TDs and he added 12 carries for 42 yards and another four catches for 20 yards. 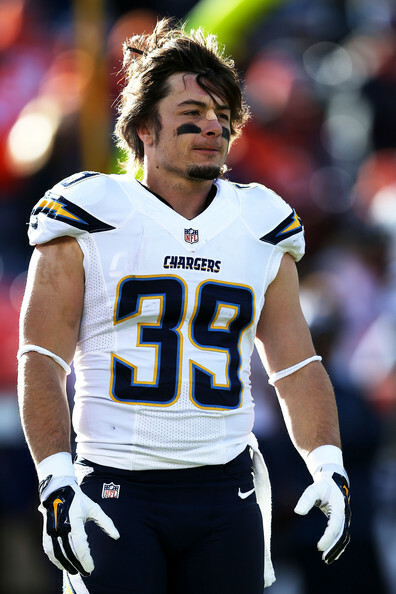 Woodhead should be owned in every PPR league and even 12-team standard leagues. He's my top waiver wire pickup for week 2. I'm not sure Im on the hype train here folks, it was more about Tampa's absolute breakdown than Tennessee's (Mariota) rise. But it's the waiver wire and you can't risk it. If you need a RB here's someone you can snatchup and hope last week wasn't a fluke. Andre Ellington got hurt, whats new. If the Ellington owner in your league doesn't already own either of these backs then you know what to do. I prefer David over Chris in dynasty/keeper leagues and Chris over David in re-draft leagues. The head coach has made it clear on multiple occasions that Daivd will not touch the rock a ton in many games this year, regardless of Ellington's status. With Ellington out, Chris Johnson rushed for 37 rushing yards on 10 carries in what seemed to me like obvious running situations. I can hear you now "But David Johnson took a swing pass for 55 yards and a score to earn the win over the New Orleans Saints." Yes, but that play was a designed misdirection to John Brown then they dumped it out the backdoor to a rookie that hasn't touched the ball the entire game. I hope this is making sense to you...If DJ tried to swing it 10 times on obvious rushing downs, I'm pretty sure he wouldn't have takin it 55 yards to the house. I personally could have made that 55 yard play he made, the defense bit that hard. Dunbar led the Cowboys in receiving yards on Sunday night and they're without receiver Dez Bryant out for a long time which means they will need Dunbar more going forward (like Woodhead in SD). Dunbar was used as a slot receiver on 31 snaps, just so ya know. I often refer to the Bills as the running back university, just look at the history of RB production coming out of Buffalo. McCoy has a hamstring pull right now so if you have Shady, Williams is a must add. For everyone else Williams is still a speculative add if you have the bench space. The Steelers are without Le'Veon Bell for just one more week making Williams a waiver wire streamer for week 2. Williams got the job done in the opener, pounding the rock 21 times for 127 yards and one catch for a minimal gain. As long as Mason and Gurley are out he's a decent option in PPR leagues. I put his name here just so I could tell you to AVOID THE NEW ENGLAND BACKFIELD - you've been warned - and I could be wrong. Here's my best wide receiver waiver picks, top TE pickups, and value quarterback adds.